One of the reasons that we love our city so very much is that there’s so much to see and do beyond the center. Whether you like architecture, history or nature – there’s definitely a suburb for you that will make for a great day trip! 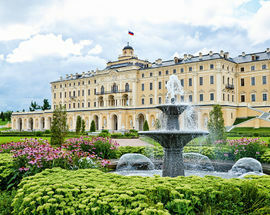 Accurately referred to as the “Russian Versailles”, Peterhof is one of Russia's number one tourist attractions. It is particularly spectacular from late-May to mid-October, when the 147 fountains are turned on, but even so it is well worth visiting at any other time of year. 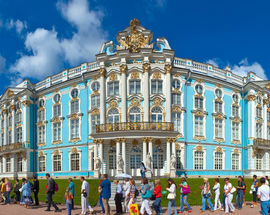 The Great Palace was built between 1709 and 1724 under the directions of Peter the Great. The seaside paradise was built as a grandiose triumphal memorial glorifying the grandeur of Russia in conquering the much needed and desired access to the Baltic Sea during the Great Northern War. Although Peterhof is the creation of Peter the Great - more than ten of his handmade drawings in reference to Peterhof along with numerous sketches with his notes have been preserved – the tsars and tsarinas that followed each wanted to make their own mark, adding another palace or fountain to the grounds. In 1917, following the Russian Revolution, Peterhof became a large educational center. During World War II, the German occupiers destroyed the palaces and the park. The reconstruction began from the first days of the liberation. Thanks to the work of military engineers as well as over 1,000 volunteers, the Lower Park opened to the public in 1945 and the facades of the Grand Palace were restored in 1952. Today, this nature and man-made masterpiece welcomes guests, impressing and surprising them, just like before. In 1990, Peterhof was included in the world's list of intangible cultural heritage of UNESCO and in 2008 was recognized as one of the seven wonders of Russia. The focal point of the whole ensemble is the jaw-dropping cascade fountain leading down from the palace. The most famous ensemble of fountains, the Grand Cascade, which runs from the northern facade of the Grand Palace to the Marine Canal, comprises 64 different fountains and over 200 bronze statues, bas-reliefs, and other decorations. At the center stands Rastrelli's spectacular statue of Samson wrestling the jaws of a lion. The vista of the Grand Cascade with the Grand Palace behind it, the first sight to great visitors who arrive to Peterhof by sea, is truly breathtaking. From there, the park spreads out to the left and right along the coastline with trick fountains, pyramid fountains, marble sculptures and lots of other impressive displays. Representing nearly two centuries of European aristocratic fashion executed to the highest standards, Peterhof is like an encyclopedia of park design through the age of an empire. Oranienbaum (Orange Tree) isn’t quite as popular among tourists as other similar palaces, but it's nonetheless a lovely place for a picnic or for a walk through peaceful gardens and pine woods. Still commonly known by its post-war name of Lomonosov, the estate at Oranienbaum is the oldest of the Imperial Palaces around St. Petersburg. Prince Alexander Menshikov, one of Peter the Great’s best friends, started building the estate and its Grand Palace. The Palace is one of the most opulent examples of Petrine architecture to have survived to the present. In 1743, some years following Menshikov’s death, Empress Elizabeth presented the estate to her nephew, the future Peter III, who made Oranienbaum his official summer residence. Antonio Rinaldi, the Italian-born architect who also designed the Grand Palace at Gatchina and the Marble Palace in St. Petersburg, was commissioned by Peter in 1758 to build a modest stone palace next to the fortress, and this has survived till this day. 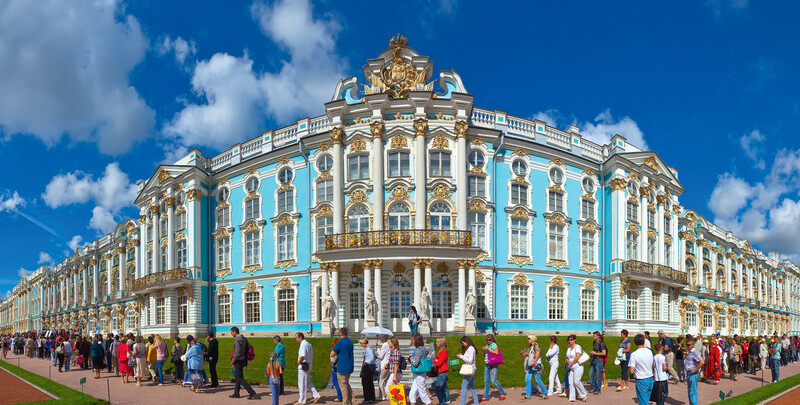 After Peter III was deposed, Catherine the Great made it one of her holiday spots and commissioned Rinaldi to build a small Chinese palace in the Upper Park with baroque on the outside and rococo within. Unfortunately, Catherine spent little time at Oranienbaum and eventually even grew to hate it during her marriage to Peter, and by the end of the 18th century the estate had been turned into a Naval Cadet College. Oranienbaum once again became an Imperial residence during the reign of Alexander I, retaining this status all the way up until the Russian Revolution in 1917. After the Bolsheviks came to power, Oranienbaum was immediately transformed into a museum and opened to the public. Although never captured by the Germans, Oranienbaum was bombarded during the war. 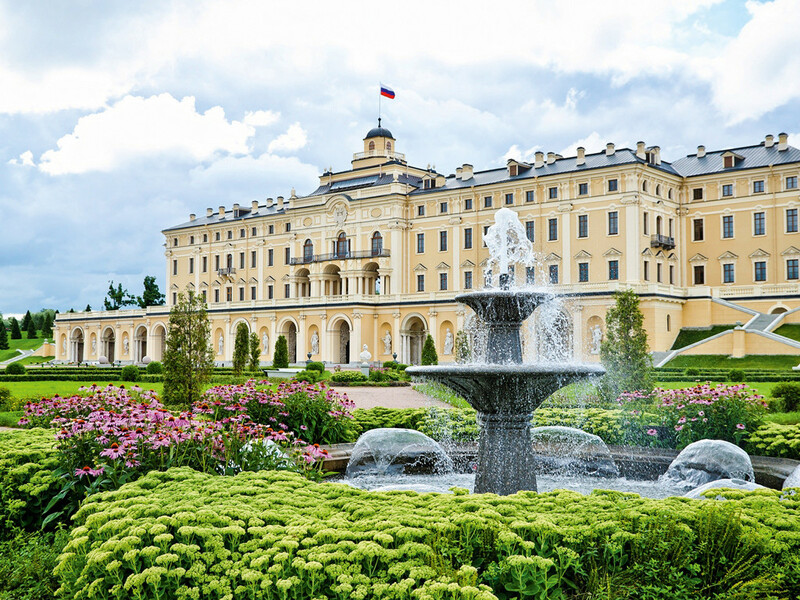 While the Grand Menshikov Palace survived intact, its restoration was not as high on the agenda as the more famous estates at Peterhof and Tsarskoe Selo. Today, this elegant little park has been almost completely restored, giving a unique insight into the lives of Russia’s Imperial family virtually since the founding of St. Petersburg itself. The Palace ensemble is on the list of UNESCO World Heritage Sites. The historic settlement of Strelna is situated approximately half-way between the city of St. Petersburg and the UNESCO World Heritage Site of Peterhof and definitely has enough to keep visitors busy for a day or two! Strelna overlooks the picturesque Gulf of Finland, the easternmost segment of the Baltic Sea. Strelna was first mentioned in Cadastral surveying of Vodskaya pyatina in 1500, as the village of Strelna on Retse Strelne on the Sea in the churchyard Kipen Koporsky County. After the Treaty of Stolbovo these lands were part of Sweden and in 1630 in Strelna appears to have been a baronial estate of Swedish politician Johan Skytte. The estate had a marina, a water mill, a pond, a greenhouse and a small house church. In 1714, Strelna was chosen by Peter the Great as a place for his future summer house and he commissioned Jean Baptiste Le Blond, famous for his work with André Le Nôtre at Versailles, to prepare designs for a palace and park. Le Blond envisaged the palace as a Château d'Eau, situated on a round island. The gardens were laid out to Le Blond's design, but the master's death prevented him from completing a more elaborate project for the palace. In 1708, Gatchina was given by Peter the Great to his sister Natalia Alexeyevna, and after her death, Peter founded an Imperial Hospital and Apothecary here. In 1765, it became the property of Count Orlov. Between 1766 and 1788, Count Orlov built a somber castle with 600 rooms and laid out an extensive English landscape park over 7 square kilometers with an adjacent zoo and a horse farm. Catherine the Great took such a great liking to the Gatchina Palace and park that after Orlov's death in 1783 she bought Gatchina and granted it to her son, the Grand Duke Paul (the future Emperor Paul I). Paul I remained the owner of Gatchina for 18 years and during this time he invested many resources as well as using his experience from his travels around Europe to make Gatchina an exemplary town and residence. After Paul's death his widow, Maria Fyodorovna owned the grand palace and park from 1801 to 1828. Then Emperor Nicholas I took over ownership from 1828 to 1855. He made the most significant expansion of the palaces and parks, adding the Arsenal Halls to the main palace. Tsar Alexander II used Gatchina Palace as his second residence. He built a hunting village and other additions for his Imperial Hunting Crew and turned the areas south of Gatchina into his retreat, where the Tsar and his guests could indulge in living country-style among unspoiled wilderness and woods. Tsar Alexander III, after experiencing the trauma of his father's assassination, made Gatchina his prime residence. During his reign, Alexander III introduced major technological modernization in the Gatchina Palace and parks, such as electric lights, telephone network, non-freezing water pipes and a modern sewage system. Nicholas II, the last Russian Tsar, spent his youth in the Gatchina Palace. Gatchina was honored as the best-kept city of Russia at the 1900 World's Fair in Paris. The quality of life, education, medical services, and public safety in Gatchina were recognized as the best, and it was recommended as an example for other cities in Russia. Following the Russian Revolution in 1917 and until 1941, the Gatchina Palace and parks were open to the public as a national museum. The Nazis looted much of the Gatchina Palace collections of art, while occupying it for almost three years during World War II. The Gatchina Palace and park were severely burnt, vandalized, and destroyed by the retreating Germans – the mess it was left in was considered irreparable damage. Restoration works took place nonetheless and continued for over 60 years after the war. Some pieces of the art collection were recovered after the war and returned to Gatchina. 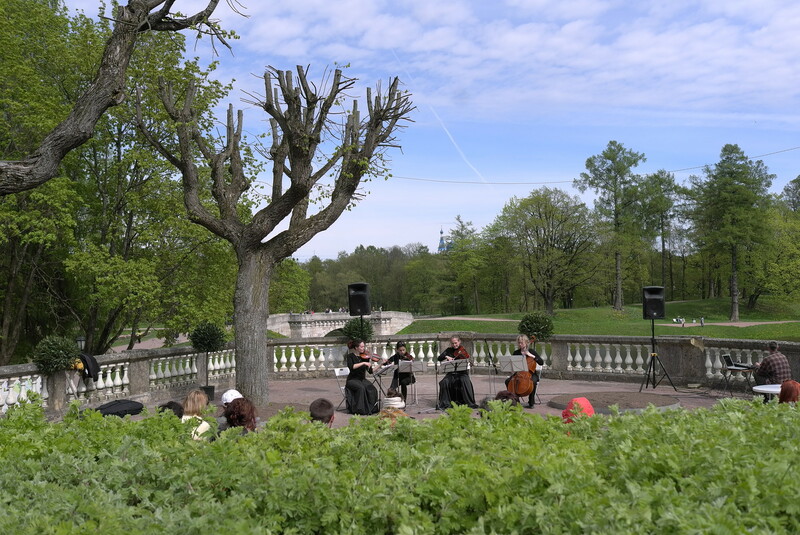 The history of the palace and park ensemble of Tsarskoye Selo is closely connected with the liberation from Swedish rule of the old Novgorodian lands on the banks of the River Neva, the founding of St. Petersburg and its establishment as the capital of the Russian Empire. The site that would become Tsarskoye Selo appears on Swedish 17th century maps as a small estate known as “Sarishoff” or “Saarismoisio” (translated from the Finnish “the manor on an elevated spot”), and in Russian as “Sarskaya Myza”. Immediately after the end of the Neva campaign, the manor was given to Alexander Menshikov, who was appointed governor general of the liberated territory. Not long afterwards, however, Peter the Great transferred it to his future wife Catherine. The creation of a royal residence in place of the estate began in the 1710’s and continued into the 1720’s. Nearby, a village popped up, as well as a housing area for the court servants. Soon Sarskaya Myza was renamed Sarskoye Selo (selo means “village”) and when construction of the palace began, it acquired the elevated title of Tsarskoye Selo – “Tsar’s Village”. For two centuries Tsarskoye Selo was a grand imperial summer residence, the construction of which was a matter of state importance and involved numerous departments of the government. After the October Revolution of 1917, the palace and park ensemble was turned into a museum and the Bolshevik authorities took over the best buildings in the town as educational and health establishments for children. As a consequence, when the town was renamed in 1918, it became Detskoye Selo – “Children’s Village”. On 9 June that same year the Catherine Palace was opened to the public as a museum. 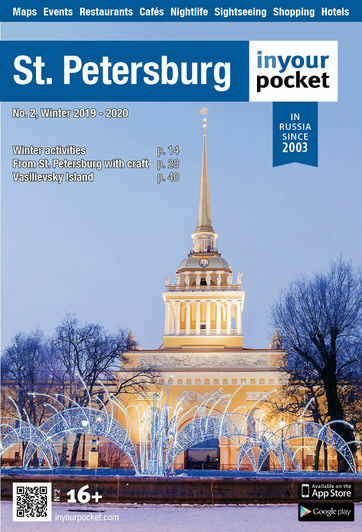 In 1937, when the country marked the 100th anniversary of the tragic death of Alexander Pushkin, the town where the future poet had received his education in the Imperial Lyceum was renamed after him. Finally, in January 1983 the palaces and parks in the town of Pushkin were given the status of a preserve and in 1990 this became the Tsarskoye Selo State Museum Preserve. Today, Tsarskoye Selo palace and park ensemble is a superb monument of world-ranking architecture and garden-and-park design dating from the 18th to early 20th centuries. A whole constellation of outstanding architects, sculptors and painters made the ideas of their crowned clients a reality here (Braunstein, Rastrelli, Quarenshi, Monighetti, Rinaldi, Melzer and Menelaws just to name a few). Tsarskoye Selo is a cluster of very fine examples of Baroque and Classical architecture and it was also the first place in the Russian capital where interiors decorated in the Moderne (Art Nouveau) style appeared. 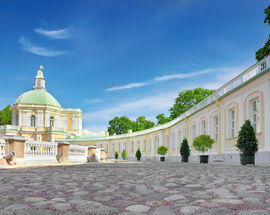 Apart from permanent exhibitions like the splendid interiors of the Catherine Palace and other themed displays, the Tsarskoye Selo State Museum organizes various temporary exhibitions devoted to the history of the Imperial estate and the Romanov dynasty so make sure to check the website to see what’s on. Pavlovsk is a town about 30 kilometers south from St. Petersburg proper and about 4 kilometers southeast from Pushkin, which developed around the Pavlovsk Palace, a major residence of the Russian imperial family. Catherine the Great began to construct a palace at Pavlovsk for her eldest son, Paul, later the Emperor Paul. She began building an Imperial residence in Pavlovsk in 1777. She invited the man who was later to become her favorite architect, Charles Cameron, to come from Scotland to construct a palace in Pavlovsk. Charles Cameron arrived in Russia in 1779. He was an ardent admirer of the great 16th century Italian architect Andrea Palladio, whose creations displayed a whimsical interlacing of modern ideas with the heritage of Ancient Rome. Cameron began his activities in Russia with the erection of the Temple of Friendship in Pavlovsk, which the young heirs to the throne – Paul and his wife Maria Feodorovna - dedicated to Catherine II. His next task was the construction of the Apollo Colonnade at the entrance to the park, followed by the Dairy and a number of other buildings. In 1787 Paul and Maria made the decision to build themselves some permanent stone houses. Working on this commission, Cameron took as a basis one of the Italian palaces depicted in Andrea Palladio's famous publication “The Four Books of Architecture”. He designed a similar palace in Pavlovsk on the top of a hill that descended sharply down into the spacious valley of the river Slavyanka. The architect planned a modest palace, a three-storey main building crowned with a cupola, extremely reminiscent of his earlier creation, the Temple of Friendship. Adjacent to the central building were two small semi-circular galleries with in-built auxiliary wings. These semi-circular galleries formed a wide parade ground. Their interior decor was intended to comply with modern tastes and fashions. Paul favored as his residence Gatchina to Pavlovsk, and therefore, since 1788 the latter was managed by his wife who had contributed most to its well-being. Maria Feodorovna enjoyed animal husbandry (she used to milk cows herself) and thus built a large farm at the edge of the park and a wooden pavilion for studies. She was also a skilled artist, a member of Berlin Academy of Arts, and her numerous handicrafts still remain in the palace. A large collection of books was accumulated in the palace by her efforts. In 1796, the village received a status of a town and renamed to Pavlovsk. After the October Revolution of 1917, the Pavlovsk Palace and Park were nationalized and converted to a public-access museum. Pavlovsk suffered much from the German occupation during World War II. Restoration works started in 1944 and were completed by 1973 and in 1989, it was included into the UNESCO list of World Heritage Sites. 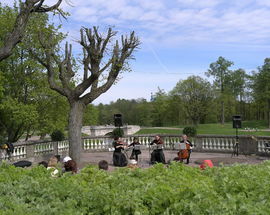 Nowadays about 1.5 million tourists visit Pavlovsk annually. 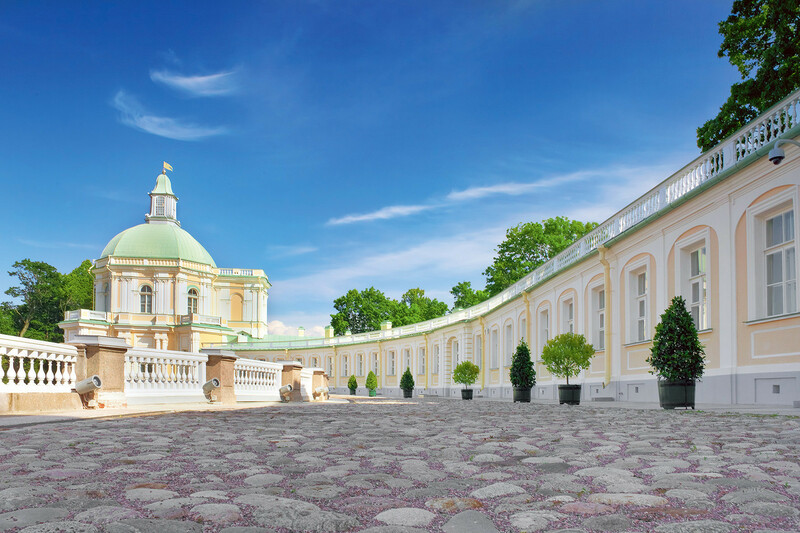 The small town hosts the fascinating Pavlovsk Palace, encompassed by a huge 1,500 English-style acre park. Tall trees, winding streams and endless paths scattered with classical statues and flanked by benches make for many a secluded spot. The perfect place to get away from the hustle and bustle of the big city!